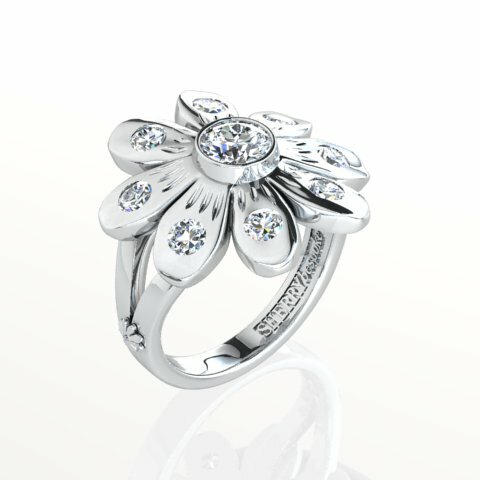 Platinum diamond flower ring: This is a ‘SHERRYrevive’ remodelled ring. Our client wanted to commemorate a family member who was a horticulturist. A big flower was the perfect solution! We incorporated her original diamonds and even added a tiny daisy flower at the base of the split shoulders. If you have some old jewellery that you want making into new jewellery, please contact us. We are specialists at remodelling original jewellery into new.